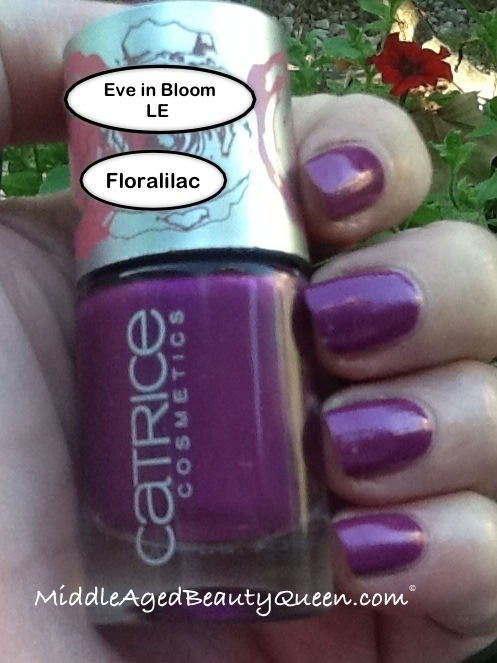 Floralilac from Catrice’s “Eve in Bloom” Collection may be one of my new favorites of all time. I love this berry color. It’s not too dark and not too light. This is a perfect color for year round. I would not wear this to a job interview but all other occasions this would be fine. I think it’s a gorgeous color. Thanks to my friend Carla for sending to me! Even the bottle for Floralilac is special. I love the cap with the flowers on it, it makes it easy to find. I think you all know I really love Catrice as a brand of nail polish. One of the things that make this brand special is the brush is just a bit wider than most brushes. It’s not as wide as the Sally Hansen CSM or the WnW Mega Last, but it’s wide enough to be able to paint your nails with one swipe. The formula is so great and with the added benefit of the brush, using Catrice makes painting your nails easier than ever. 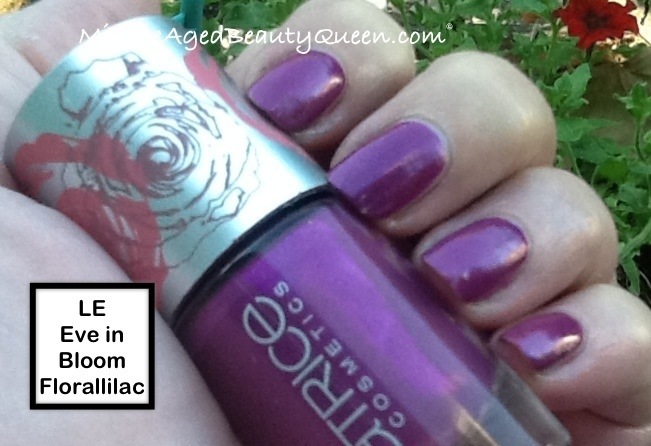 Where to purchase: Catrice is a German company and some of their polish is made in Italy. I did not find it for sale on Amazon (shocker!) but I did find Catrice for sale on the Ninja Polish website. They carry the core colors as well as special and limited editions. The cost of 1 bottle is $10. I do hope you try it, if you have a chance to. It’s a great polish and I’m so lucky for the ones I have that were sent to me by my great friends Nicky and Carla! Thanks again you guys, you’re the best! 👑 As always, thanks for stopping by!